Final Payment Date is APRIL 24, 2019!!! **Registration will be available beginning 9:00 a.m. on Monday, February 11, 2019 until Bear Camp has met its pre-determined capacity OR through Tuesday, March 26, 2019 at 5:00 p.m., whichever comes first. After that, you will need to sign-up campers for Bear Camp by contacting Barbara Thatsanithone at Barbara.Thatsanithone@scouting.org. Bear Camp programs are conducted during the summer at the Theodore Naish Scout Reservation as a two-day, one-night experience. It is designed especially for boys going into 3rd grade and their parents. Bear Resident Camp is a one-on-one camping experience. Each Scout spends 2 full days and 1 night of fun in the wilderness of Cub World. Boys and their adult partner will participate in many exciting activities listed below. Bear Resident Camp is a one-on-one camping experience. Therefore, every youth attending camp must have an adult partner. Special circumstances require the approval of a Heart of America Council Representative. When registering for camp, you will have the option to Pay Now or Pay Later. The total number of all full-time youth and adult campers your unit is signing-up. Your method of payment information. Primary and Secondary Bear Camp Contact Person Information (strongly recommended to be individuals going to Bear Camp). All youth campers attending Bear Camp must be registered members of the BSA. There are no exceptions to this policy. There are no part-time youth campers at Bear Camp. 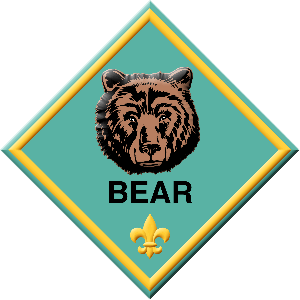 At least two adults camping at Bear Camp must be registered with the BSA; it is encouraged that all adults attending Bear Camp be registered with the BSA. There are no part-time adult leaders at Bear Camp. Please notify the HOAC Camping Office of any Den Chiefs attending Bear Camp with your Pack and the Boy Scout Troop unit number with which the Den Chief is registered. The names of all Bear Scouts and leaders/adults attending Bear Camp along with your final payment will be due on or before April 24, 2019. Each unit who is signed up for Bear Camp by March 28, 2019 will receive their unit billing statement and pack roster in the mail. This information will be sent to the person listed as the Primary Bear Camp Contact Person at the time of registration. The pack roster and final payment must be submitted on or before April 24, 2019. The final payment cannot be made online. It must be made at the Service Center or by mail. You may review the Council Camp Refund Policy and download many other resources for your Bear Camp experience at the HOAC Camping Resources page. To adjust your existing registration or for any questions or concerns regarding Bear Camp, contact Barbara Thatsanithone, Program Assistant at Barbara.Thatsanithone@scouting.org or 816-569-4948. There will be one Bear Leader's Orientation Meeting for the 2019 Camping Season. At least one (1) leader/adult from your unit who is also camping with you this summer at Bear Camp should attend this meeting. These fees cover the cost of all patches for Scouts, t-shirts for Scouts and adults, program supplies, participation awards, meals, lodging, insurance, etc. We encourage you to register by Pack rather than individually. However, either form of registration for Bear Camp will be accepted! 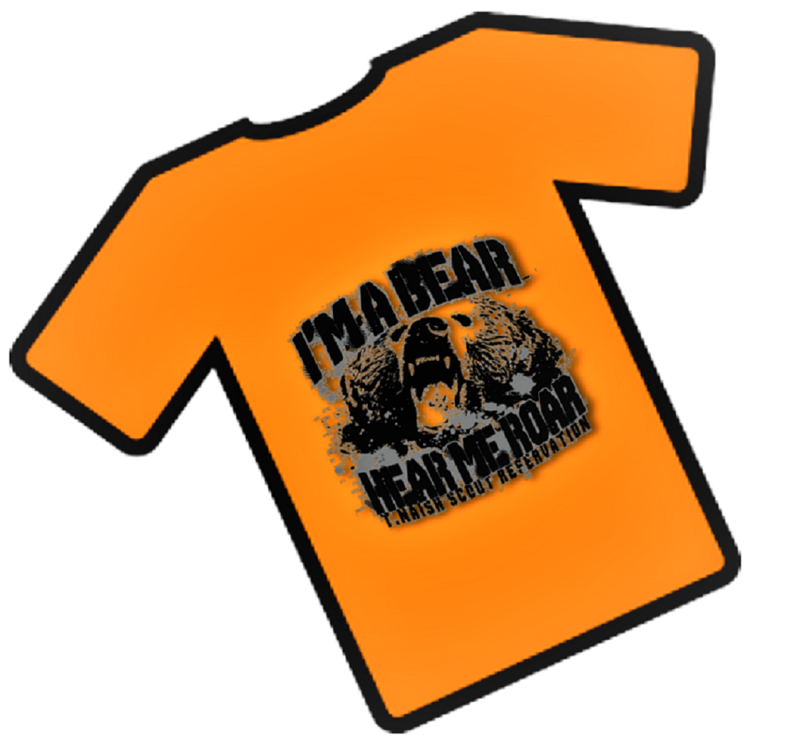 ***The Bear Camp fee includes a T-shirt for all participants. A unit is expected to pay for the number of campers and leaders at registration. No refunds will be granted after that fee payment is made, however, transfers within the unit will be allowed. For updates made on/before April 24, 2019 that is not transferring, a non-refundable fee of $30.00 per camper will be charged. Please click on each question below for the answer. For updates made on/before April 24, 2019 that is not transferring, a non-refundable fee of $30.00 per camper will be charged. For certain circumstances an exception may be made, however, you will need to follow the refund policy to request a refund. Refund requests are considered after all summer camps are over and the books have all been reconciled (around mid-August). What kinds of things will I be doing at Bear Camp? There are lots of exciting things to do at Bear Camp. You can do things like shooting BB Guns, swimming, making rope, making wood projects, participating in campfires, and meetings lots of other Bear Cubs just like you. You will be sleeping in a 2-person canvas wall tent that includes a cot and floor boards, electricity is not available. What should I take to Bear Camp? Your leader can help you decide what to take and what not to take to camp. Your leader has a list in their Bear Camp Leader's Guide. Generally, you should take basically the same things that you would take to spend the night at a friend’s house plus your Scout uniform, your Bear book, bug repellent, and a few other things. Bear Camp sounds awesome, can I go? If you are a Bear Cub you can go. All you need to do is check with your leader to find out how to sign up. What if there are twins or triplets in my Pack? If there are multiple children from the same family, only one parent is required to go. Please contact the Camping office for further questions or concerns regarding this issue. What if I am the only one in my unit that wants to attend Bear Camp? Great! We encourage units to sign up together, but if you are the only one that wants to attend Bear Camp, we will find a unit for you to camp with. Contact the Council office (Barbara.Thatsanithone@scouting.org) and we will get you camping! What if both parents want to attend with their Scout to Bear Camp? It is not required for both parents to attend, but if both want to attend, that is acceptable. Just reserve slots for both adults. What Health Forms do I need to attend Bear Camp? The Annual Health and Medical Record with parts A and B completed is the appropriate form. It can be found here: Annual Health and Medical Record A&B. Bring the completed health form with you when you check into Bear Camp. A doctor’s signature is not required for Bear Camp. Is there a list of advancements the Scout could have earned attending Bear Camp? Yes, in the Bear Camp Leader's Guide Appendix, there is a list of advancements that could have been earned. Should we sign up collectively or individually? You should sign up everyone at one time, not individually, if you want everyone in the same session. You will have the option to pay by credit card or to mail in a check within 5 days. You will pay a $30 non-refundable deposit per camper when you register in February and the remaining balance is due by April 24, 2019. What is a Den Chief? Are they required for camp? A Den Chief is a Scout that helps the Den Leader. It is not required for camp, but each Bear must have an adult paired with them. What does the cost cover for camp? The cost covers patches for Scouts, t-shirts for both Scout and adult, program supplies, awards, meals, lodging, insurance, and any other costs for running the camp. Can a Scout attend camp with anyone besides a parent? They can attend with another relative over the age of 21; most will attend with their grandparent. Can parents tag team Bear Camp? One attend one day, another attends the next? Yes, this is fine. You only need to register one adult. You will need to check in at the camp office when you swap places. Do the campsites have an electrical outlet nearby for my CPAP machine? Did you go to Bear Camp at Naish, but don't have the Camp Session photo? Click here to order your Camp Session Photo! All Camp Session photos taken since 1994 are available! If you have any other questions please contact your District Executive or Barbara Thatsanithone in the Camping Office.